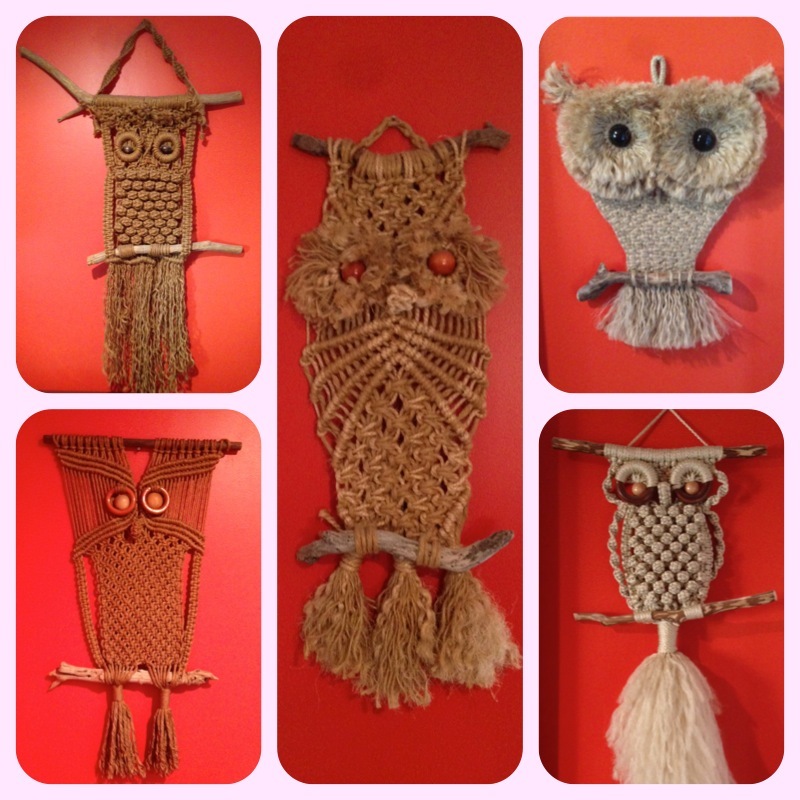 I might have a slight obsession with macrame owls…so much so that we curated our very own collection of vintage hoot hoots! Our collection is proudly exhibited in the most likely space in our pad…our laundry room. Laundry room by day and macrame owl gallery by night. I was feeling pretty content with our collection UNTIL I came upon this photo of Jonathan Adler’s pad showcasing this OTT Bigfoot sized Super Fab woven owl creation…macrame envy. Love macrame! That owl is amazing! I used to spend hours making macrame bracelets and plant hangers when I was about 10 years old. It’s very therapeutic.